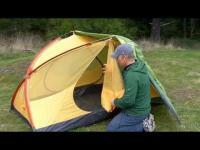 Backpacking Tent Exped Gemini 2, Model 3 season ultralight for 2 people. 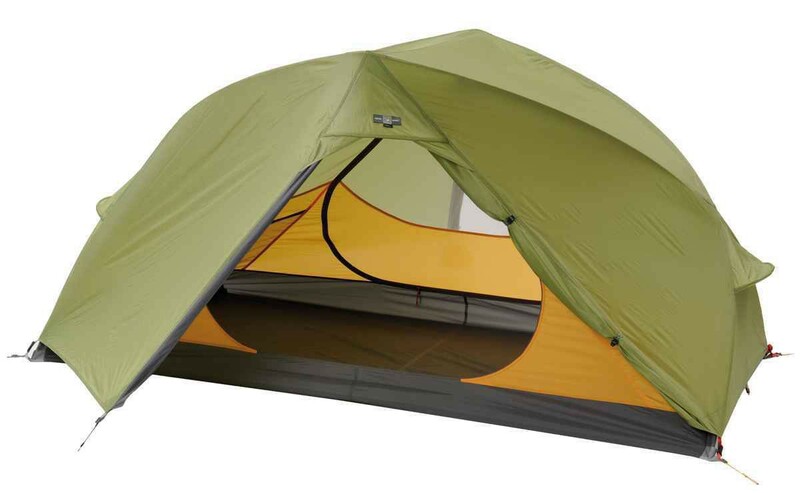 Exped Gemini II is a 3 season tent lightweight with a comfortable living space. The Gemini II offers a beautiful interior through vertical walls and two large vestibules. - Unpretentious from the outside but a true space wonder from the inside. Steep walls paired with wide and high doors enhance comfort. - Four large mesh pockets next to the doors hold heaps of personal items. Numerous gear loops can be used to attach clothes line etc. -The fine mosquito mesh keeps the tiniest bugs out and warrants excellent ventilation on hot summer nights. 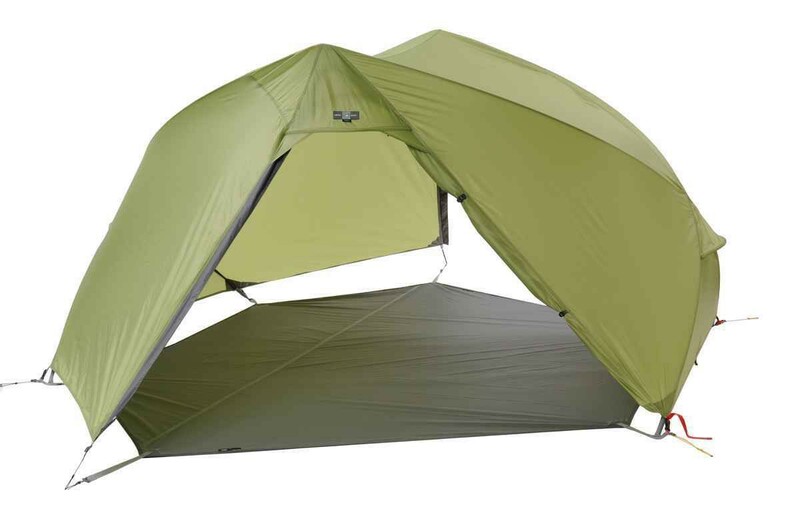 The Taffeta nylon panels on sides and roof keep wind and condensation out. - Each sleeper has his own door and vestibule. The vestibule is large enough to hold pack, shoes, dog etc. The vent hoods prevent water from dripping into the canopy when the doors are opened and reduce condensation build up. - Guylines that attach directly to the pole structure increase stability in high winds. The guylines can easily be accessed through the rainfly vent. - Two Exped LW size mats fit perfectly next to each other without shifting and still leave space to store gear at either end. Rainfly and footprint: A lightweight setup variation of Gemin II consists of rainfly and the optional footprint. The poles are fed from above into continuous pole sleeves and secured in the Arc Connector. This design allows poles to be inserted while standing up. 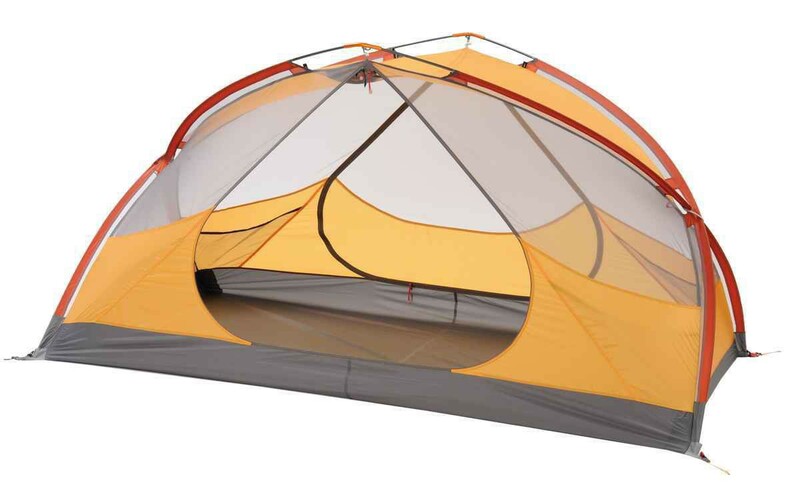 As a freestanding tent it can be carried around after setup to find the ideal resting place. 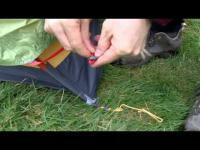 The rainfly attaches easily to the canopy with quick release buckles. Stuffsack: a partition creates a separate compartment for both rainfly and canopy with poles. Accessory bag: Separate compartments for poles, pegs and repair kit. This keeps poles and repair kit away from the mostly muddy pegs. Clean tent poles work better and last longer.